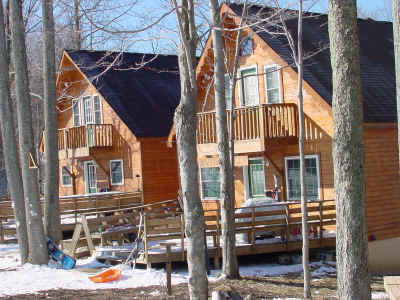 "The Place 2 Be 2"
We offer slopeside lodging at Winterplace Ski Mountain. Our chalets are ski in, ski out. For a wonderful ski experience, visit Winterplace and stay in our slopeside chalets. This is a true ski in, ski out experience. Winterplace has slopes and trails for people to ski on at all levels. You will love Winterplace.